Isn't this flower necklace from Nest Pretty Things gorgeous? Really, I love everything from her shop though. 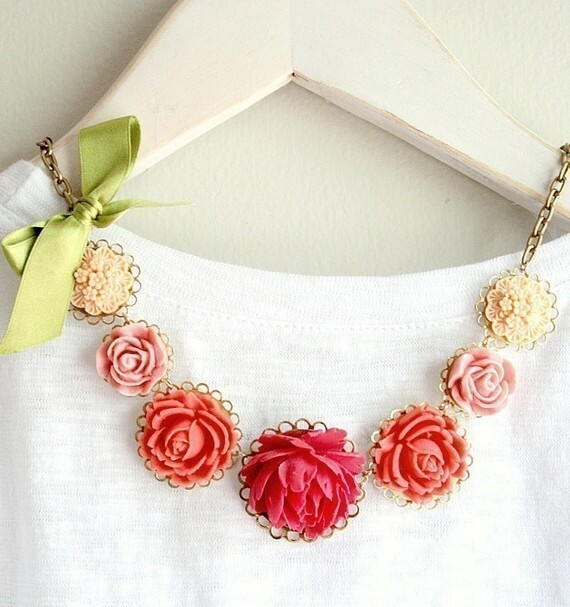 k this may possibly be the cutest necklace i have ever seen. add to christmas list, check. Yes it is beautiful!! Love it. Makes me thing sunny thoughts. that is so cute! the pale pink flower looks kind of similar to the earing that i got from gabe.